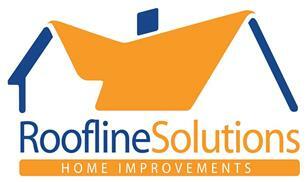 Roofline Solutions Home Improvements Ltd - Cleaning Services, Fascia/Soffits/Guttering, Roofer, Windows/Doors/Conservatories based in Crondall, Surrey. Operating from our base in Surrey, our experienced installation teams can fit Fascias, Soffits, Barge boards, PVC Cladding, Marley Cedral Eternit Weatherboards, Aluminium Seamless Gutters, PVC Guttering (including Cast Iron Effect) and Felt Roofs within the Hampshire, Berkshire, Oxfordshire, Surrey and Sussex areas. We also offer a gutter clearance and repair service, replacement valleys, ridge and hip tiles (repairs or replacement) and moss removal. Our products come in a range of colours and styles to suit all types of properties, from modern buildings and extensions to traditional cottages. We appreciate each home is unique and how important it is to choose products which will compliment it but most importantly protect from water damage. PVCu roof lines are an affordable investment for your home. With our competitive pricing, expert installation service and over 20 years experience, we’ll make sure you get the best value for money. For a free, no obligation quotation please contact us. ‘We strive to provide our customers with friendly, helpful advice and an unrivalled, quality of service’.